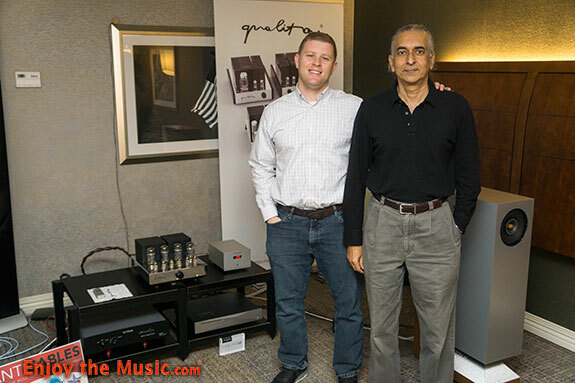 Showing a completely different lineup than his wonderful sounding room at AXPONA 2017 Mark Sossa proved here he is choosing the right kit. In the first minute of listening I felt the musicality of the system. The speakers 100% disappeared giving that illusion where sound is coming from behind them, but not the speakers. The soundstage was wider and deeper than the room dimensions which was especially apparent when Paul Simon's "Homeless" played from my memory stick, the whole choir seemed to appear in the room, but the room seemed to be twice as big as it was. Margo Timmins' vocal starting out The Trinity Sessions, "Mining for Gold" was delicate with great decays showing how big the venue was, her sibilants were perfectly handled, and the annoying very low bass HVAC noise was not missed as it often is. I use Dave Grusin's "Keep Your Eye on the Sparrow" from Mountain Dance as a reference for many parameters including percussion details, here I got the delicacy, detail, quickness, extension, and bass sock I expect from this cut. I visited Mark's room frequently during the show and sat in for a stunning listen to Ozone Percussion Group's "Jazz Variants" with the huge bass drum whacks, again I heard details galore, good treble extension, that coherency widebanders are known for, and something they're not known for, room crushing bass! Congratulations to Mark and Jacob on one of the finest rooms at CAF. 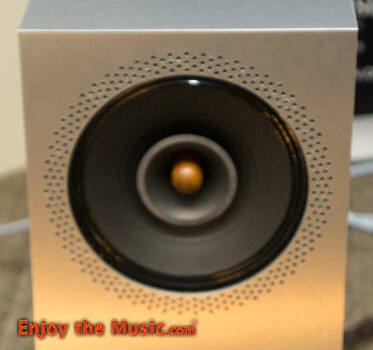 Mark deployed the Rethm Bhaava speakers ($3,750/pr) that use a Philips 7" wide band mated to a powered internal subwoofer in Isobaric loading. 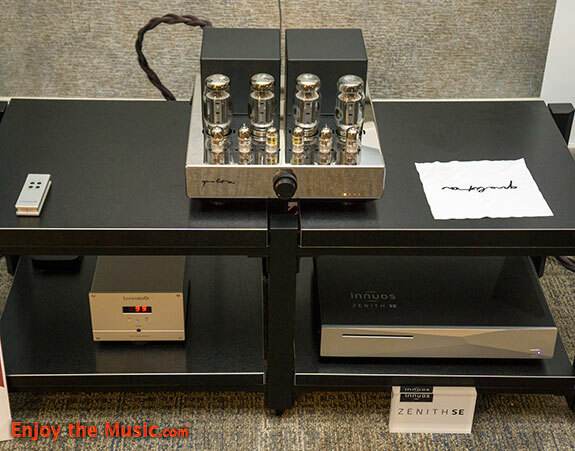 The digital front end included an Innuos Zenith SE server ($7,000) feeding a Linnenberg Telemann DAC ($5,400) and a Qualiton 50 tube amplifier ($7,500) from Hungary. 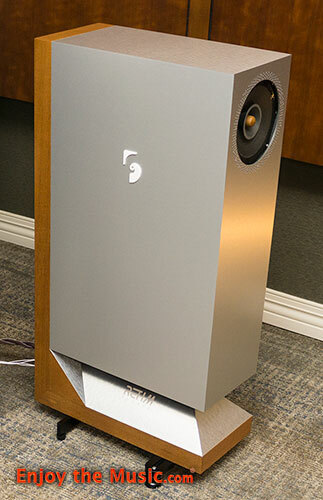 The cables in this system are from Paul Speltz, his affordable AntiCables were in all locations and in another system that had disappearing speakers, maybe there's a common thread. ---> Back to main Capital Audiofest 2017 homepage.